Neutrogena Top Products Review 2018: Skin, Hair, and More! Home | Bath & Body | Neutrogena Top Products Review 2019: Skin, Hair, and More! 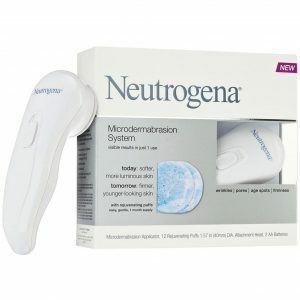 Neutrogena Top Products Review 2019: Skin, Hair, and More! Most people mix-and-match their personal care brands in order to find the best combination of products possible that work for them. Someone might use soap from Dove, Proactiv acne medication, Lush bath and body products, and Urban Decay cosmetics. See, not every product is going to work just as effectively for everyone. Different people have different hair, skin, and bodies, which react differently to different products and brands. This leads to folks scouring the entire beauty section of department stores, sampling every brand and product line, looking to build their perfect arsenal. However, if I was stranded on a desert island and could only use products from one brand alone, the answer would be clear: Neutrogena all the way! Not only does Neutrogena’s line of products cover virtually every end of my routine – including hair, acne, cosmetics, bath products, and more – it does so while offering quality in each and every one of these categories. Any company can expand into a niche which it isn’t familiar with and offer mass-produced, ineffective products just for the sake of expanding their reach – that would be easy. Neutrogena doesn’t do easy. No, Neutrogena actively works to ensure that the products it is providing in its lesser known categories are just as effective as their biggest hits. Is the company best known for its skin care products like their cleansers and moisturizers? Yes, but I’ve found that their cosmetics, for example, work just as well – if not better! Take a look at the entire assortment of products being by Neutrogena – you might just find that they’ll surprise you. 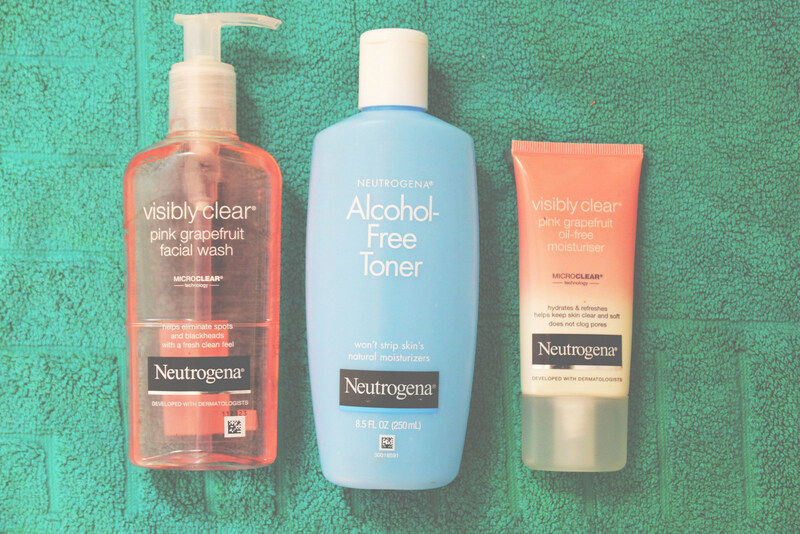 As it happens, here is my own personal Neutrogena Top Products Review! My number-one favorite Neutrogena product with a bullet! 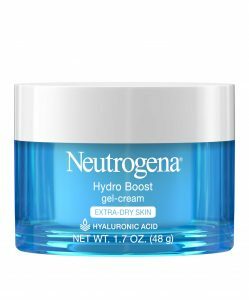 I credit this magical (seriously – I think this stuff might have magical properties) gel-cream with saving my skin, and I sincerely hope that Neutrogena never stops making it! Prior to finding Hydro Boost Gel-Cream, I was in a constant struggle with my skin to achieve hydration. Simply put, the skin on my face dries out easily, which in addition to making for a dull complexion leaves my skin prone to a variety of different issues. I tried dozens of different moisturizers to try to solve my skin dryness, without exaggeration, until I came across this miracle worker that turned out to be more effective than all of the other options combined. Daily application in the morning is enough to leave my skin moisturized, hydrated, and healthy. Again, your results may vary, and what works for some may not work for others, but I can’t speak highly enough of this product. Rapid wrinkle repair system moisturizer. Dealing with mild wrinkles was not something I was expecting to have to confront in my early thirties, but such is life! My Mom is particularly prone to wrinkles, so this development wasn’t a total shock to me, and although I was ready to simply accept my fate, Rapid Wrinkle Repair Moisturizer put the fight back in me – literally! Thanks to regular application of this incredibly effective anti-aging formula, my skin looks more youthful and vibrant than it was looking even at the later end of my 20’s! Makeup could help mask my crow’s feet and cheek wrinkles, but Neutrogena put an end to them. 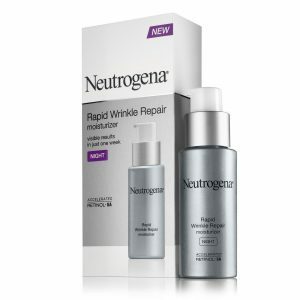 Not entirely distinguishable from the aforementioned Wrinkle Repair System, Neutrogena’s “Night” Wrinkle Repair System provides an alternative wrinkle-eliminating approach for those who prefer to apply their treatments before bed. Simply apply to a clean face and neck, gently massaging the formula until it is sufficiently absorbed by the skin, and get ready to see some exciting results come morning time! While Neutrogena’s Hydro Boost-Gel moisturized my skin and eliminated its dryness, it’s this Multi-Vitamin Nourishing Moisturizer that helped to restore its healthy and youthful glow. I’ve actually found a number of products which are effective at boosting the complexion of my skin, but they leave me with a sort of clogged, heavy feeling in my pores that I can’t ignore. Neutrogena Naturals, on the other hand, leaves my skin feeling as light and natural as it makes it look. Again, a healthy and scheduled regimen is what worked best for me, but this will even do in a pinch – I started to see results almost immediately when I first started using Neutrogena Naturals. Enough about skin, eh? Let’s move on to another one of Neutrogena’s critically acclaimed and celebrated product lines – like that of its hair care products! Neutrogena offers a wide variety of shampoos, conditioners, and more in order to repair and refresh your hair, but none get it done quite like their T/Gel Therapeutic Shampoo (at least in my opinion). While a number of Neutrogena shampoos are recommended for sporadic use, T/Gel Original Formula has become my daily shampoo of choice – and for good reason. The patented formula uses different active ingredients to target and eliminate different hair problems. You’re not just getting a dandruff shampoo here, but a psoriasis and seborrheic dermatitis shampoo as well. The pleasant scent is a nice touch, too. All too often I see people using the same kind of soap to clean their hands, body, and face, and it drives me crazy! Everyone is entitled to use whichever soap they’d like, but the amount of misinformation and confusion out there regarding soaps and their uses is exasperating. Allow me to clear the air: Your palms, back, and forehead, for example, are of a different consistency and experience different uses, sun exposure, and contact with dirt. Therefore, they simply should not be exposed to the same exact kind of soap on a regular or long-term basis! 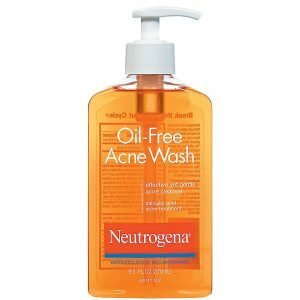 When it comes to my face, there isn’t a cleaning product I trust more than Neutrogena’s Oil-Free Acne Wash, and for good reason. Not only does the wash effectively clean, it works to unclog pores and fight acne as well – the perfect all-in-one face cleaner that will accomplish wonders that your hand soap could never hope to! Not to sound braggadocious or anything, but I consider myself something of a real ‘get up and go’ type of person. I lead a fairly active lifestyle, and as such, find myself producing a bit more sweat than the average woman might be accustomed to! Whether it be hiking, working out at the gym, or running, I’m no stranger to perspiration or the effect that it can have on skin. After a workout or a run, my skin can be particularly prone to an unhealthy shine thanks to sweat and dirt residue left on my forehead and cheeks in particular. That’s where my Neutrogena Shine Control comes into play! 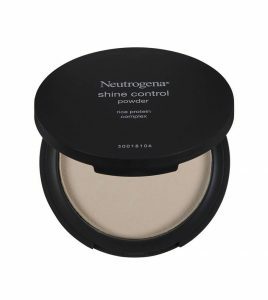 I use the powder to instantly kill any hint of shine, and the primer to help my skin and makeup fight shine before it ever rears its ugly head. We’ve covered shampoo – now it’s time to tackle the very best in Neutrogena shower and bath skin cleansing. Rainbath is the one for me, and it’s no surprise that this handy gel has emerged as one of the most popular products in the Neutrogena shower and bath category. Providing a satisfying softening effect that leaves no residue behind, Rainbath can effectively cleanse skin after one use, while also improving its health if used over a longer period of time. The formula uses real spices, fruits, and herbs in order to maximize effectiveness and provide an aroma that is absolutely delicious – give Rainbath a try if you’re still looking for your go-to shower and bath gel! Remember those wrinkles I had mentioned earlier? Well, those aren’t the only signs of aging that little ol’ me has to deal with! Aging spots, pores, and a lack of skin firmness have started to plague me as well. For a time, this left me searching for answers – until I came across Neutrogena’s vibrating life saver here. The Microdermabrasion System is intended to replace your regular cleansing scrub and works by vibrating and puffing microdermabrasion crystals into the skin, thereby eliminating dead skin and leaving a healthier, more natural looking complexion. According to Neutrogena, 91% of first-time users instantly had smoother skin, while 88% had significantly reduced the appearance of wrinkles or age spots after 4-weeks. Personally, my results fall well in line with these – the microdermabrasion has worked wonderfully for me! 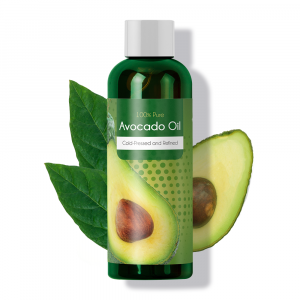 Suffering from dark marks on your skin and looking for a solution? Look no further than Rapid Tone Repair. Neutrogena’s repair formula uses accelerated retinol SA and Vitamin-C to brighten skin tone in uneven spots or across your entire complexion. Skin clarity and brightness can be improved after just one week of use, according to Neutrogena, although I have found that these results do not necessarily stick around in the long-term. Still, the effect was at least felt for a short period of time, and I would recommend Rapid Tone without hesitation. Now, here’s a product that virtually every makeup lover can use – no questions asked! Makeup removal is one of the most essential and unavoidable steps in personal care, and one that simply cannot be neglected as part of a healthy and safe cosmetics lifestyle. Leave makeup on before bed, or remove it with unsafe, chemically-laced products, and you’re leaving your skin prone to a host of nasty problems that I’m sure you would rather avoid. 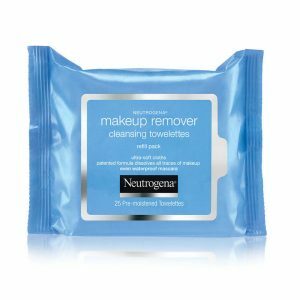 I’ve tried dozens of different kinds of makeup removal wipes, from name brand to store generic, and none do the job quite like Neutrogena. Gentle enough for contact lens wearers such as myself, yet strong enough to take out waterproof mascara with ease, Neutrogena’s wipes are fire and ice – a deserved member of any respectable personal care kit. 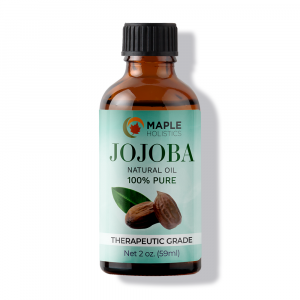 As a licensed masseuse, body oil is something that I find myself needing to purchase quite often. 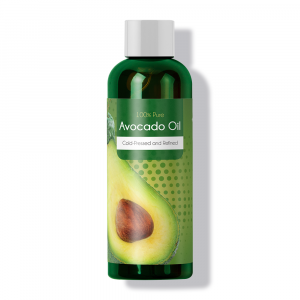 While I do like to use pure, essential oils such as Avocado Oil, Castor Oil, or Almond Oil, Neutrogena Body Oil makes for one of the best oil formulas I’ve ever had the pleasure of using. 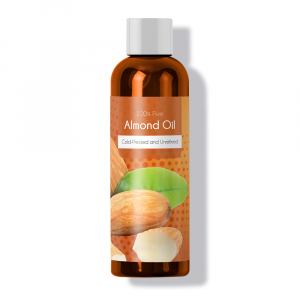 Sesame-based, Neutrogena Body Oil does just about everything someone could want their body oil to do – it moisturizes skin, absorbs quickly, offers just a mild and pleasant scent, and leaves skin feeling soft and refreshed. 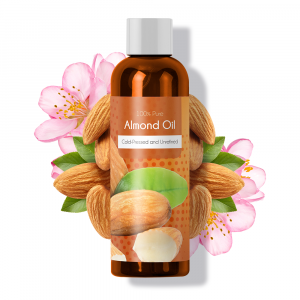 Not everyone is going to find themselves in the market for body oil, but for those who do – Neutrogena is an excellent option. I’ve covered so many skin-related products from Neutrogena, you didn’t think I was going to forget about Neutrogena’s actual cosmetics, did you? Although not as popular as their cleansers or repair products, Neutrogena makeup is surprisingly effective, although perhaps lacking in range and variety compared to brands which are more zeroed in on cosmetics. I say ‘surprisingly’ because let’s be honest, who really thinks of makeup when they think of Neutrogena? In any event, if you’re just looking to become acquainted with Neutrogena cosmetics, Healthy Skin Liquid Makeup is a great place to start. Available in a number of different tones – you’re sure to find one that works for you, trust me – Healthy Skin Liquid Makeup offers excellent coverage in its SPF-20-containing formula. The thing that really surprised me about Healthy Skin Liquid, however, is its impressive hold – this stuff will last for an entire day without any kind of fading or running. 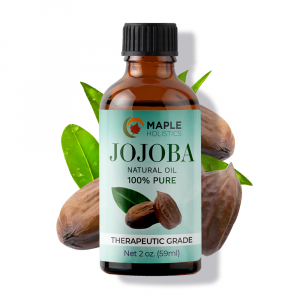 Stay tuned for more great product and brand reviews at Maple Holistics! I could go all day here – there’s really no shortage to the number of effective products made by Neutrogena across the entire spectrum of personal care and cosmetics. As I mentioned at the start of this feature, however, I must reiterate: Just because a product works well for me does not mean it will necessarily work well for you. The best strategy when it comes to developing your own personalized, ideal personal care routine is to try as many different products as possible. It’s the only sure-fire way to figure out what works best for you, although more often than not, I’m willing to bet that what works best is my beloved Neutrogena!